Replacement coil you will need depends on e cigarette starter kit device or e cig mod you are using. Right coil is vital to optimal vaping experience. There are many types of coils and it can be very confusing when it comes to buying the spare coils as not all coils are suitable for your e cig kit. 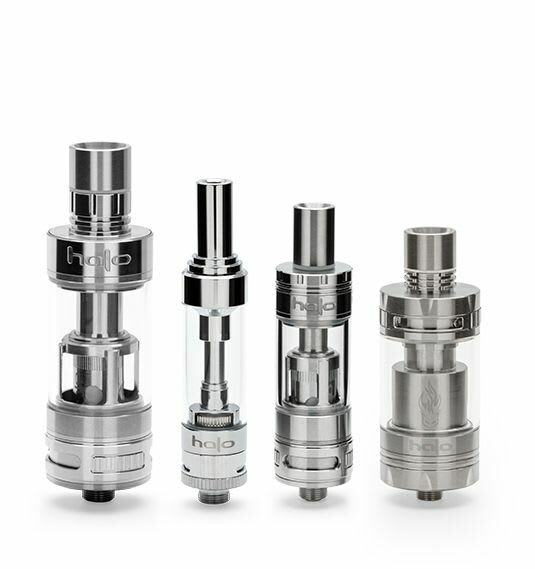 This guide will help you choose the right coil for your Halo e cigarette kit and vape mod. Most e cigarette starter tank kits with atomizer system, unlike those with e cig cartomizers (eg. G6 Kit), comes with a tank. 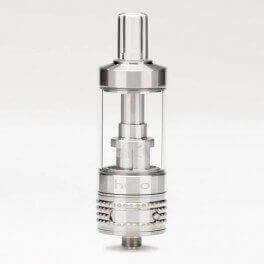 Inside the tank you will find the key component that makes vapour production possible which is the coil or coil head. The atomizer or tank coil is the part in your e cigarette that heats the e liquid to product vapour. What is the Meaning of Sub Ohm Coils in Vaping and Sub Ohm Vaping Device? First of all, sub-ohm e cigarette devices are those devices that use sub-ohm coil or atomizer. 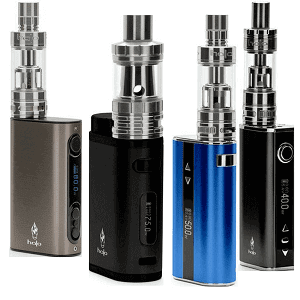 The Mod devices are mainly sub-ohm devices. The exception to this is the Triton II Kits, small sub ohm e cigarette kit, which sits between the advanced mods like Halo tracer kits and reactor mods, but allows you to use sub-oh coils. Every atomizer coil comes with certain level of resistance which can be above and below 1 ohm (ohm is unit of measurement for resistance, like kg is for weight). 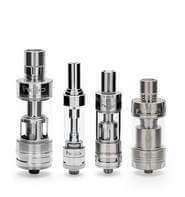 For example, standard triton starter kit comes with resistance ranging from 1.8 ohm to 3.2 ohm. The oils that have resistance of less than 1 ohm is the sub-ohm coil, sub meaning less than 1, and any vape device that uses these sub-ohm coils are known as sub-ohm devices. 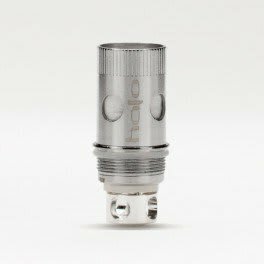 Triton standard is not a sub ohm device because it supports coils with resistance that start from 1.8. The most straight forward coil selection is for the Triton Kit. The Triton Coils come in pack of 5 and you will be allowed to choose from different resistance levels. 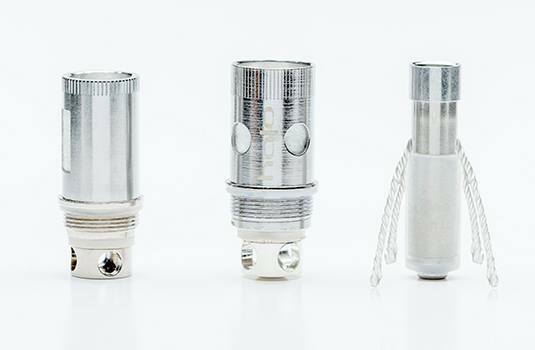 The available resistance levels for Halo Triton are 1.8 - 2.0 ohm, 2.2 - 2.4 ohm, 2.6 - 2.8 ohm & 3.0 - 3.2 ohm. The resistance level you choose depends on your vaping habit. As a general rule lower the resistance, warmer it vapes and higher resistance coils vape cooler. For example, 1.8 - 2.0 is the lowest resistance coil and vapes the warmest and 3.0 - 3.2 ohm coils vape the coolest. There is no right or wrong coil for Triton, customers buy different resistance levels according to their preference. The coil resistance that come by default in starter kits and triton tank is the 2.2 - 2.4 ohm coils. So if you are not sure which one to buy, we recommend 2.2 - 2.4 ohm unless you are want warmer (buy lower resistance) or cooler vape (buy higher resistance). Off course, you can always email and ask if you are not sure. Kanthal is the most common type of coil used in Mods. It provides stable vapour. E Cig Mod kits like 50w Reactor 4400 mAh use wattage control mechanism and are limited to Kanthal type Mod Coils. The stainless steel coils are designed to be used in E Cig Mods with temperature control. These coils heat quickly and are suitable for temperature control vape mods like Reactor Mini, Reactor Mega and Reactor Shorty. The steel coils can also be used in wattage mode devices. 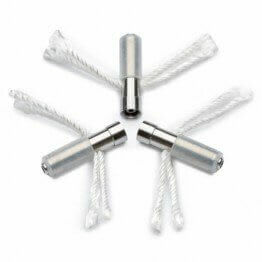 These are low resistance coils that is compatible with Mods such as reactor shorty that uses TC (temperature control). The nickel coils (Ni200) lets you adjust the coil temperature as needed.